Why are my Eyeglasses so expensive? Purchasing new eyeglasses can be a fun or frustrating process. It is an investment in better quality vision and style. The lenses in each pair of eyeglasses are specially made for the patient and the frame they select. But the most common question that is asked during the eye wear selection process is, “why are my eyeglasses so expensive?” I would like to take a minute to discuss what features everyone should consider in their new eye wear, why they are so expensive, and online ordering. When I write a prescription for a patient I like to add what options, features, or enhancements will make their lenses the best for them. Every patient has different visual demands and needs in order to “See Life Better”, so each patient will have a specific recommendation. But no matter what your prescription is or your needs, I ALWAYS recommend Anti-Reflective lenses. This is an enhancement feature that is a must. It decreases or blocks glare from fluorescent lighting, computer/electronic screens, and headlights. Also, it provides scratch, smudge, and dirt resistance. And if you have not seen the importance yet, it also provides for a clearer image in and out of the eye glasses, which means when people look at you they will not see lens glare or reflections. Everyone can benefit from this technology (even children!) and it is strongly recommended at Elite Eye Care. 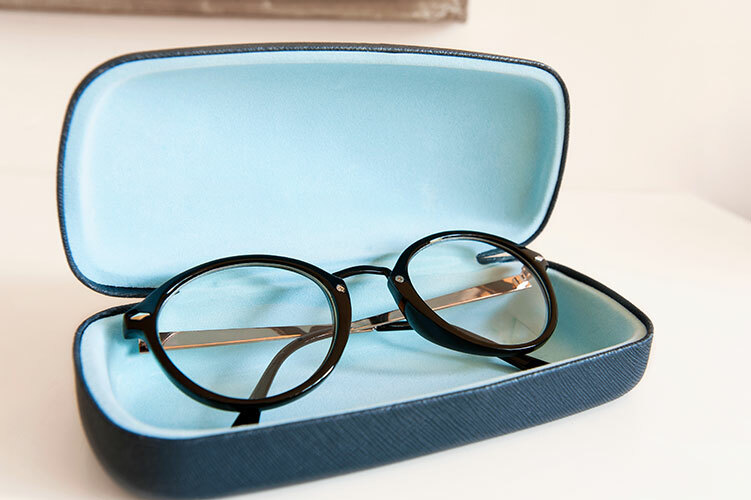 Additional eyeglass recommendations include the proper material, importance of sunglasses, and what specific type of lenses are recommended for the patient’s lifestyle and needs. These vary from patient to patient, but are important so that the eye wear will provide the wearer with optimum vision and comfort. Yes, everything now a day seems so expensive and this is all due to technology. Our cell phones, cars, and homes have awesome features that were just not available even a couple of years ago. This same idea applies to eye glasses and contact lenses. All the technology and enhancement features that you can add to your eye wear makes them so much better than what was available before, but also makes them more expensive. I want to emphasize two points, which are each pair of eye glasses are made specifically for your eyes and the frame you select and eye wear is an investment in seeing clearly. I think that second point is something we often take for granted and should not be over looked when selecting eye glasses or contact lenses. Can you put a price on having clear and comfortable vision? Why go through your day with subpair or just ok vision? Everyone has different visual needs and fashion styles, so that is why my co-workers and I at Elite Eye Care always discuss all of your options and help you to make the best decision for YOUR needs. I love to shop online. I mean how easy is it to go on a site to purchase something and it ends up on your door step a couple of days later. Also, it is often cheaper, which I enjoy. But when we are discussing eye wear there are a couple of items that need to be considered. A proper fitting frame and accurate measurements are key to clear and comfortable vision. Also, selecting the correct type of lens, material, and enhancements are also important. Just like any other product, it is cheaper online because you are not having someone help you. You are able to select, order, and pay without any assistance. When purchasing eye wear at an office, you are relying on the knowledge and experience of the Optician, which is in part why in office eye wear are more expensive. The Optician is going to make sure that the frame selection is not only correct for the type of lenses you need, but that it also fits well. They will be helping with the lens and enhancement selection process. Finally, they will be working with you through the whole process from initial ordering to the finally fitting. Also, they will be available for any future adjusting and cleaning that you may need. So, online ordering is definitely an option for eyeglasses and may work for you. But be cautious and careful when ordering and if you experience any visual problems from your eyeglasses please have them evaluated. Just like anything else, you get what you pay for. Hopeful this has answered some of you eye wear thoughts, concerns, or questions. Feel free to call 701-390-1315 or e-mail eliteeyesnd@gmail.com with any questions.